The Jubilee line extension from Westminster to Stratford is nothing if not a lesson in how to introduce light into dark places. Glittering, shimmering, colourful light. And there’s an entire wall of it at Southwark, tinted in the most alluring, soothing shade of blue. It is a dazzling 40 metres long and made up of 496 panels of varying sizes, bolted together to form an enormous azure-hued tapestry that reflects all the energy of the station concourse. The fact that the wall is purely decorative and serves no structural purpose whatsoever just makes it all the most precious. It’s a great example of the way the newer Jubilee line stations were conceived as opportunities to be exploited, not obstacles to be accommodated. 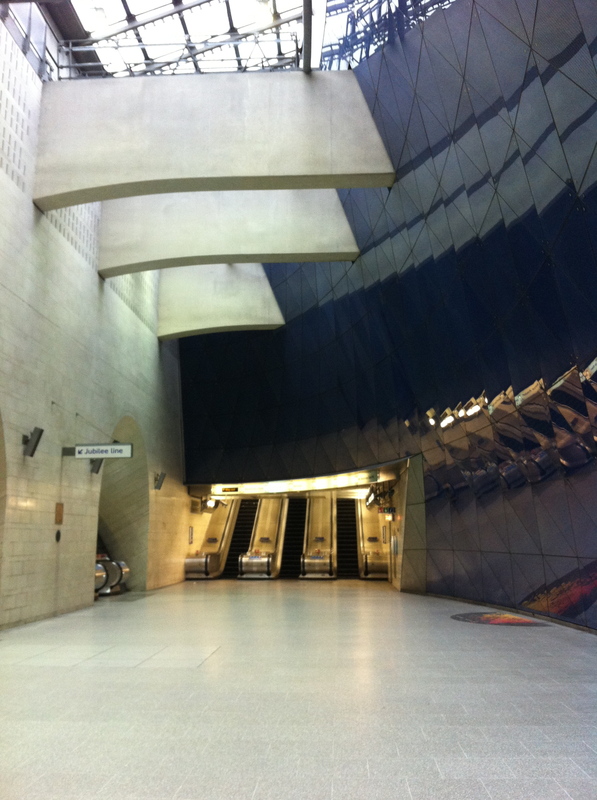 Plus it’s gorgeous to look at, both as a slice of art and a turquoise-tinged mirror on all the bustle of the Underground. What a thrillingly chunky dose of architecture. 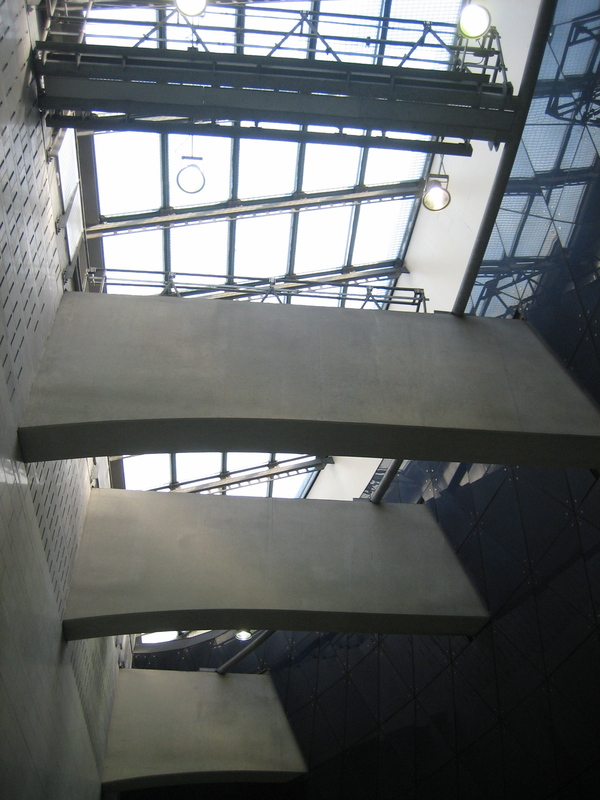 The wall is held in place with these massive concrete struts, which themselves become attractive – for me, anyway – thanks to the way they are shadowed by daylight pouring in from the roof. Southwark station unfurls narrowly downwards, a necessary manoeuvre due to surrounding buildings and – oh, the irony – old railway viaducts. Curse those Victorians with their feats of swaggering engineering! But what it loses in horizontal sprawl it gains in dramatic, elegant elevation. The glass wall, the work of Alexander Beleschenko, celebrates what might otherwise had been treated as a constraint. 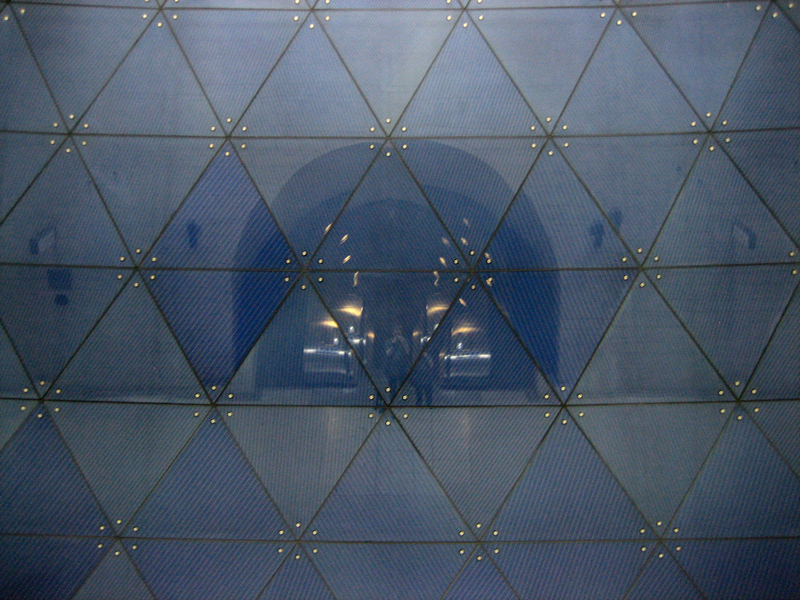 And blue is the perfect colour for the station: cooling, introspective, becalming. Who knew geometry could be so emotional? On 10 January 2013, the London Underground became 150 years old. This blog is a personal catalogue, in no particular order, of some of the network's finest features, sensations and oddities. Think of it as a well-meaning doff of a roundel-sized hat - one, mind you, that has nothing to do with Transport for London or the office of the Mayor of London. Now that’s a bit special. But you don’t mention the insane, expensive & dangerous double inward-facing barrier-line at the West end, at the interface with Waterloo East? 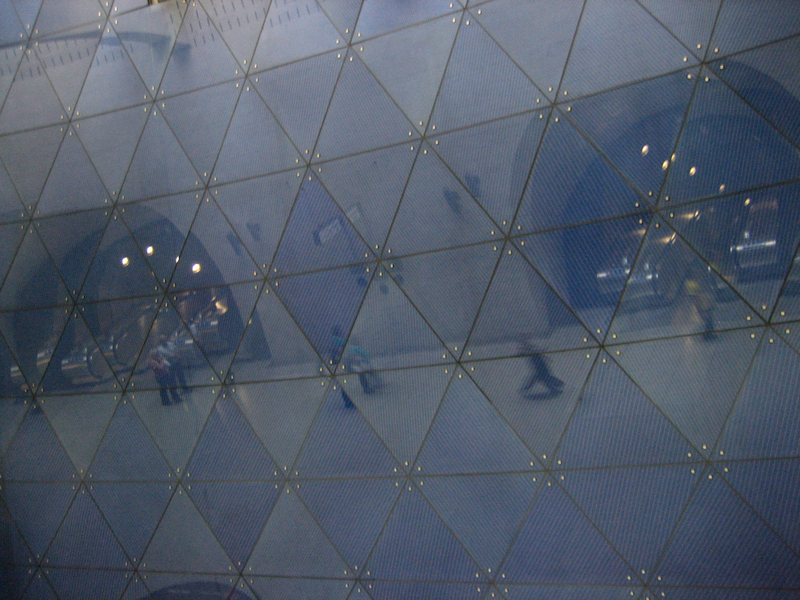 Also, when you come up the Jubilee escalator, at a certain point, all you see is the blue wall which looks like you’re looking into space, amazing.